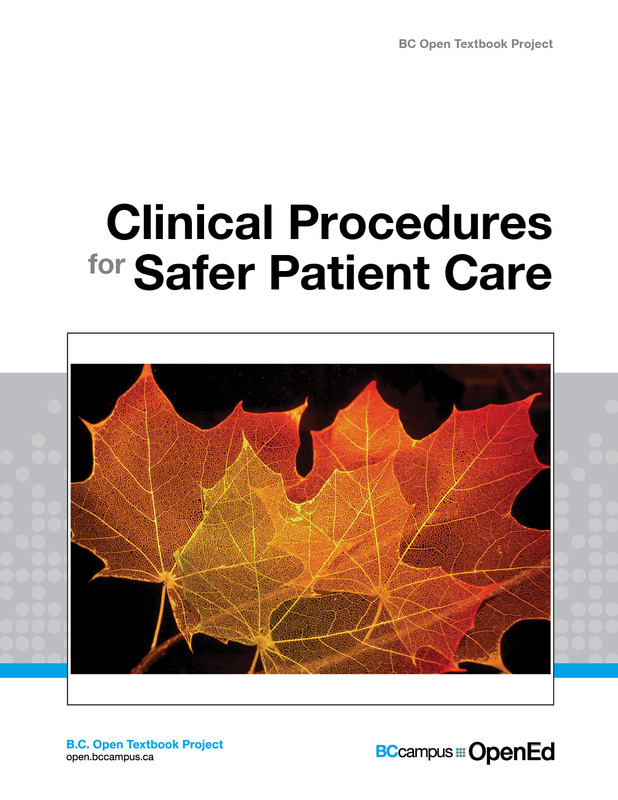 Clinical Procedures for Safer Patient Care was developed to ensure best practice and quality care based on the latest evidence, and to address inconsistencies in how clinical health care skills are taught and practised in the clinical setting. 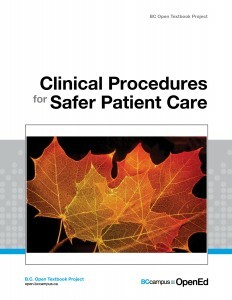 The checklist approach, used in this textbook, aims to provide standardized processes for clinical skills and to help nursing schools and clinical practice partners keep procedural practice current. Each skill/procedure is covered in a chapter that has learning objectives, a brief overview of the relevant theory, checklists of steps for procedures with the rationale behind each step of the process, and a summary of key takeaways. Key terms are set in bold throughout the book and laid out again in a Glossary in the appendix. All 88 checklists are also summarized, and hyperlinked to the original checklist, in the appendix. This book should be used in conjunction with existing courses in any health care program. This book is not intended to replace core resources in health care programs that provide comprehensive information concerning diseases and conditions. An understanding of medical terminology, human anatomy, physiology, and pathophysiology is a required asset to use this book effectively. The development of technical skills is based on the knowledge of, practice to achieve proficiency in, and attitudes related to the skill, and an awareness of how our roles affect our patients and other health care professionals. This book contributes to enhancing safer care for patients by outlining evidence-based practices, and looking beyond just the technical skill to understanding the types of expertise and knowledge required to decrease adverse events. Authors: Glynda Rees Doyle and Jodie Anita McCutcheon and is released under a Creative Commons Attribution 4.0 International License also known as a CC-BY license. This book is now available in the BC Open Textbook collection.